These are so delicate! Love the color too. I tried getting my sandals out and wearing them (no snow here) but it took my toes an hour to warm up last night. Maybe I better find another way to bring spring into my life. A lovely soft primrose yellow for your spring flowers! It sounds like you enjoyed your time away and then came back to snow! I find crocheting flowers most satisfying at this time too! 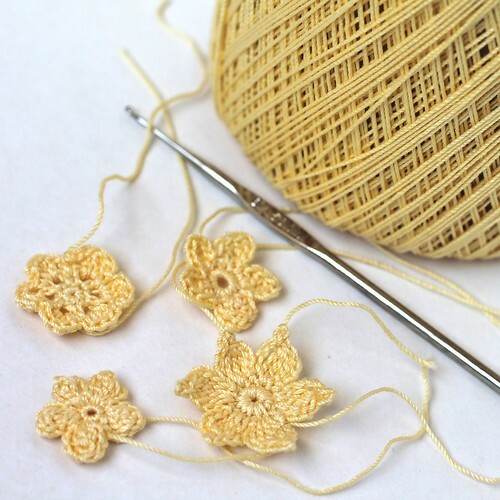 I love to make little crocheted flowers! Your's are especially pretty...love the color.